The Lee Boys are the finest “sacred steel” ensembles I’ve ever had the pleasure to see. Within just a few notes, I and everyone I was with for the evening knew The Lee Boys had something special happening. The band members include three brothers, Alvin Lee , Derrick Lee and Keith Lee. They are joined by their nephews Roosevelt ‘The Doctor” Collier, Alvin Cordy Jr., and Earl Walker. As with many musicians, the Lee Boys began their musical careers playing at their church in Perrine, Florida. Each of the members is very talented with their instrument of choice but I BETCHA; you’ll come away with a lasting impression of Roosevelt and Alvin. Roosevelt is on the pedal steel and Alvin will be working wonders on a seven string bass. The genre of “Sacred Steel” is an upbeat, soulful, bluesy and heavy on the rhythm section type of sound. With the band members having learned their instruments at church and being family members, part of what makes The Lee Boys special is that the church influence and family love comes through in their music. Alvin Lee explains on their website, “The inspiration and feeling that comes along with our music is the reason that people feel good. It is like the new music on the block and it’s just getting ready to explode!” It’s mostly original material, with a few standards and hymns the group “blueses up a little.” The song of the night that fell into that category was “Voodoo Child”. No doubt SRV and Jimi Hendrix were smiling down from their great gig in the sky for that song. From a Pentecostal church to music festivals around the country, the Lee Boys have won over fans from all walks of life. Bob Weir, The Allman Brothers, The Black Crowes, Los Lobos, Victor Wooten, The Del McCoury Band and The Travelin' McCourys have either shared the stage or had the Lee Boys on tour. 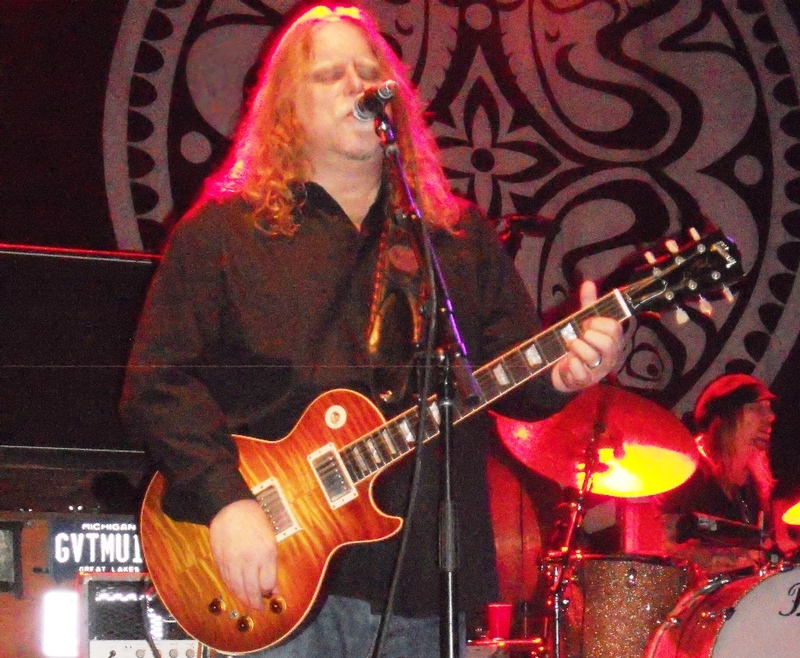 If you do not believe me, believe Warren Haynes. I am certain he and the other members of Gov't Mule are picky about opening acts. For those of you familiar with Gov't Mule, this set list says a great deal. For those of you unfamiliar with Gov't Mule, this set list will say a great deal once you decide to get fa-Mule-iar with the band. Every time I get the opportunity to see Gov't Mule, I have an internal running debate with myself. “Knowing what I know, would I rather have seen a bunch of their shows over the years or would I rather have tonight’s show be my first and get completely blown away?” It is a tough call. I go with both points of view whenever possible. Gov't Mule is one of the bands that with a few stretched out notes, you can tell who is playing. Lots of notes are nice and many bands can make a lot of music with a lot of notes but; bands that last a lifetime in your heart can get the most out of just a few well placed notes. With Warren Haynes on guitar, Matt Abts on drums, Danny Louis on keyboards or whatever instrument is handy, Jorgen Carlsson on bass and Ron Holloway on saxophone, I’ll put those five musicians up against any five musicians…any night, any venue. This Gov't Mule show was excellent as always. To be certain of the excellence, I listened to the show several times courtesy of MuleArmy.net. Each time I listened, Warren Haynes and his guitars were alternating high end shrieks of joy with low end, spirit reaching tones rarely ever heard. Jorgen Carlsson and Matt Abts worked together seamlessly as the Gov't Mule rhythm section. Danny Louis worked the keyboards, the trumpet, the trombone and guitar to fill in where ever needed filling in to make this Gov't Mule show as fantastic as the previous show or the show to follow. 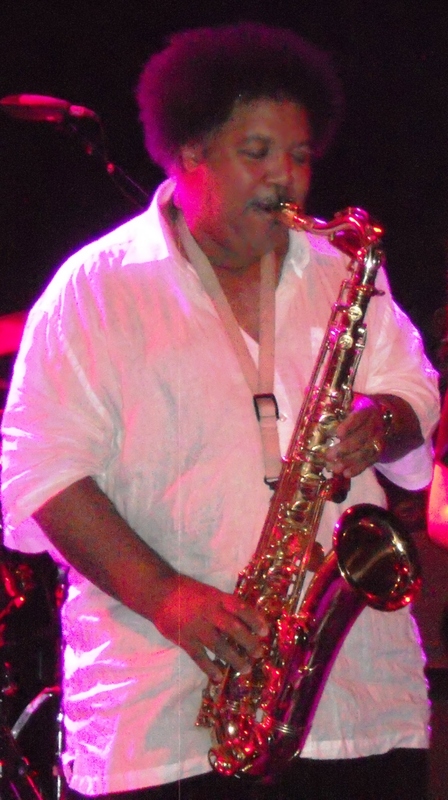 With the addition of Ron Holloway, expect to get treated to plenty of stellar saxophone playing. As the songs allow, Danny Louis and Ron Holloway will trade off licks on the horns or match notes with Warren playing guitar. When they have their matching notes from one instrument to another instrument interaction, you get a really strong dose of just how talented every member is in Gov't Mule. This evening, the band treated the crowd to the usual staples of Gov't Mule originals, covers of classic rock band anthems, some Allman Brother’s teases and lots of jams to be named at a later date. If you take the time to find a version of this show and listen, listen for the Mini-Mountain jam, the first half of the second set and the double encore of That’s What Love Will Do For You and Spanish Moon. The, That’s What Love Will Do, rendition featured Roosevelt Collier on pedal steel along with Ron Holloway blowing sax. Depending on your musical tastes and what strikes your fancy, any night you join Gov't Mule you can expect to hear the newest, best version of any given song. Such was the situation for the encore on this night. To send the fans out into the night on their good foot, Ron Holloway stayed on stage to finish up Spanish Moon with a good minute or two solo. All the while, Ron was nodding his appreciation to the Famuley that was having yet another night of their life courtesy of Gov't Mule. Thanks fellas!